The Tramways Act of 1882 allowed companies and local authorities to operate tramways. As well as municipal street tramways, it allowed the construction of what were rural railways in all but name. The rural “tramways” were usually constructed to less stringent standards than the Queensland Government Railways to reduce the cost of construction and operation. Aramac, in almost the geographical centre of Queensland, was founded in 1869 and by the 1880s was the centre of a thriving sheep farming community. It lobbied hard for a railway to serve the pastoral community but missed out twice. A Bill for a proposed railway from Roma to the Gulf of Carpentaria via Cloncurry, Blackall, and Aramac was defeated in the Queensland Parliament in 1883. The railway from Rockhampton reached Longreach in 1892, but again Aramac missed out with the nearest station being 41 miles away at Barcaldine. Other Divisional Boards and Councils facing similar situations started taking matters into their own hands. The Cairns Divisional Board opened the Cairns-Mulgrave Tramway in 1897. The Beaudesert Divisional Board also opened the Beaudesert Tramway to Lamington and Rathdowney in stages between 1903 and 1911. In October 1906 the Aramac Divisional Board resolved to construct their own tramway between Aramac and Barcaldine. George Phillips, who had been the construction engineer on the first stages of the Beaudesert Tramway, was engaged as consulting engineer. He estimated a total cost of £55,000. After detailed surveys and some revisions to the plan, the Board borrowed £66,500 to build the tramway to government standards, allowing the Queensland Government Railways (QGR) to take over the line in the future. The first locomotive was an ancient B12 class, built for the Queensland Government Railways in 1877 and purchased by the Divisional Board to become Aramac Tramway Engine No .1. It hailed the first train to Aramac in September 1913. The opening of the railway had an immediate impact on the community. In the first full year of operation, it carried over 4,000 tons of wool, 250,000 sheep, and nearly 7,000 passengers. It was a marginal financial success with revenues 8% greater than operating costs. However, the ancient locomotive was not sufficiently powerful to handle the traffic and in November 1914 a larger B13 class locomotive was borrowed from QGR. 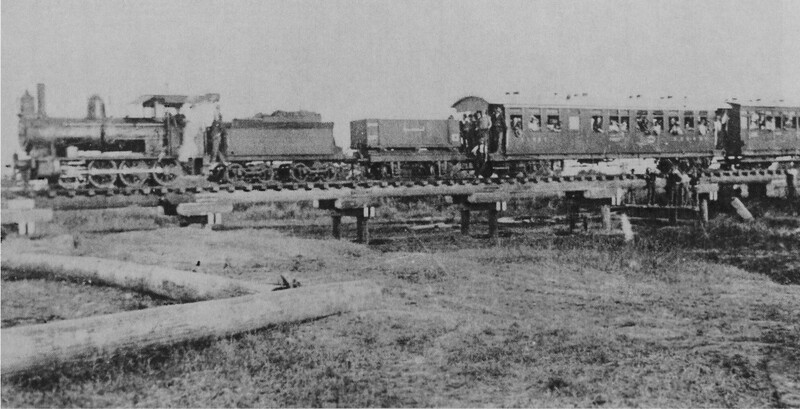 A second B13 class was then purchased from QGR in 1915 for the sum of £2000. It had been built by Walkers Limited of Maryborough in 1897 and became Aramac Tramway Engine No.2. The older No.1 remained in reserve until it was scrapped in 1939. However, the initial success was not to last. Drought and an economic slowdown due to the departure of many young men to the First World War saw a dramatic reduction in traffic. Costs had to be cut to cover the losses, at the expense of maintenance. Traffic picked up again slightly after the war and Treasury granted a loan of £7500 to purchase a new locomotive in 1924. This was a larger PB15 class of a type used extensively by QGR and was purpose-built for the tramway at the Ipswich Railway Workshops. But traffic again declined throughout the 1920s and debts mounted after catastrophic cyclone damage in 1928. The Great Depression only made things worse and the Second World War brought further austerity. However, Treasury kept waiving interest on the loans and kept subsidising the Aramac Tramway because it was cheaper than the state taking over the line. Nevertheless, the debts kept mounting, with QGR charging £20 per month for access over the last half mile into Barcaldine and as much as £60 per month for storage of wagons at Barcaldine due to cancelled trains. There were also numerous complaints by QGR at the laxity of tramway staff in calculating how much it owed and considerable delay in paying its bills. In return, the Aramac Council complained that QGR had accepted payment for carrying goods and parcels from other parts of the Aramac but had not passed on a portion of the payment to the tramway. 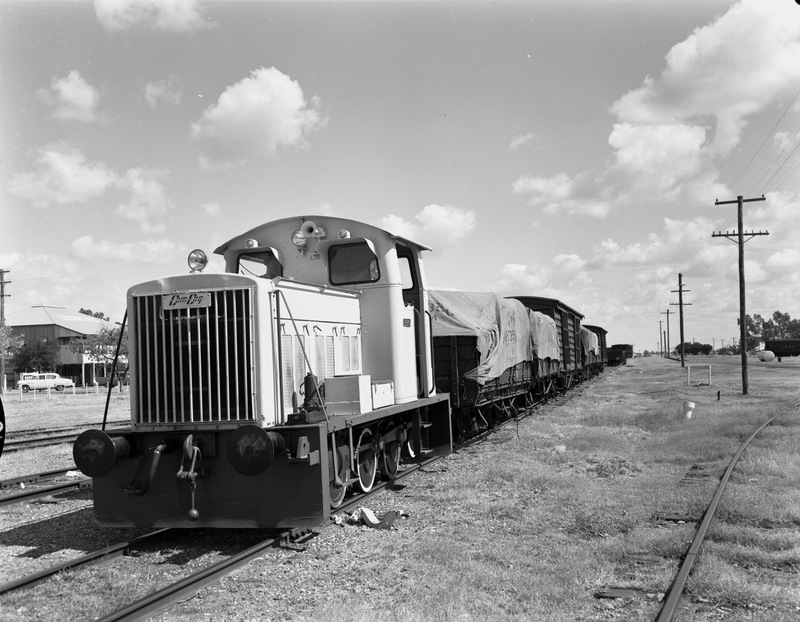 As traffic continued to decline and costs continued to rise, in 1957 the Council ordered a 150hp diesel locomotive from Commonwealth Engineering of Rocklea to replace its 33-year-old steam locomotive. Weighing in at only 16 tons, it was cheap to run and easier to maintain. The old PB15 class was sold to QGR. However the diesel was underpowered and the transmission regularly failed, with replacement parts often taking 12 weeks to arrive from the United Kingdom. In 1968 a slightly larger diesel locomotive was built by Walkers Limited of Maryborough. In 1963 the Council purchased a second-hand railmotor from the Queensland Railways for the princely sum of £100 to operate the passenger service. RM28 had been built at Ipswich Railway Workshops in 1928 and was affectionately dubbed “Aunt Emma” by the locals. It continued running until the tramway closed. Despite improvements in roads and declining freight traffic on the tramway, losses remained acceptable until 1970. The state of the track was becoming worse and in need of substantial investment which was hard to justify. The Queensland government agreed to subsidise the tramway until the road from Barcaldine to Aramac was sealed. The floods of January 1974 caused considerable damage to the tramway. By 1975 the loan covering the construction, which had never been repaid, had risen to $225,000 and with the road being sealed it was likely traffic would reduce to nothing within months. The Shire Council decided in November 1975 to close the tramway on 31 December. It was the last of the locally controlled tramway in Queensland. Special thanks to Barcaldine Regional Council for permission to use the photograph of RM28 “Aunt Emma”. Most of the infrastructure was dismantled in 1976 however the Aramac goods survived. It became the Aramac Tramway Museum in 1994 and was heritage listed in 1999. 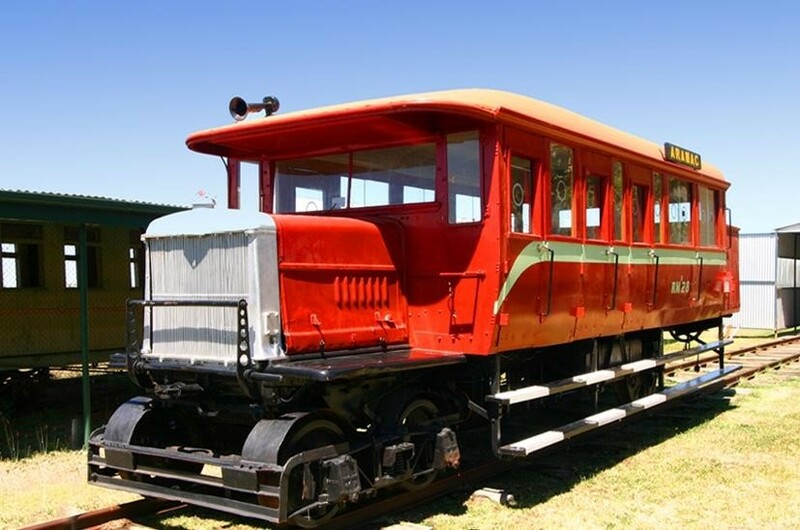 “Aramac Tramway Museum” https://environment.ehp.qld.gov.au/heritage-register/detail/?id=601172 20 January 2016, accessed 26 February 2018. Loving all these stories, the next best thing to finding them myself. Hi Chris – we’re glad you’re enjoying our blogs and thanks for including us in Friday Fossicking. Thank you for documenting another very interesting.tramway of Queensland. You’re very welcome, we’re glad you enjoyed the blog Robert. Growing up in Aramac I remember the Aramac Tramway well. I regret not taking photos at the time however I did not think the railway would ever close. Over the years I have located photos of the tramway , however would be interested if other people had photos out there to share. Although small in stature the diesel engines pulled some massive loads of wool and stock the 68km to Barcaldine to join the main line as well as large loads of Livestock Food to feed starving animals during times of drought.